And we all know how much I love a girly afternoon tea! Our weekend kicked off with a sunny afternoon strolling around Bath, sipping frothy cappuccinos and window shopping for goodies. Followed by a couple of treatments at The Macdonald Spa Hotel - me a deep tissue massage (bliss) and mum a pedicure for her twinkle toes. We sun'd ourselves silly whilst munching finger sarnies, freshly baked warm scones, Bath buns (which were a revelation! Like a mini doughnut bun filled with sugar), mini eclairs topped with blueberries & choccie buttons(! ), fruit boats and mini jars of lemon meringue cheesecake. And yes, that is a chocolate mousse with a base of coco pops, topped with honeycomb and raspberry! Nom nom nom. The hotel itself was stunning, covered in blossoming wisteria and set in the most beautiful grounds - within walking distance of Bath city centre but far enough away from the buzz to be in utter peace and tranquility. Safe to say we didn't want to leave. Luckily we had another one to look forward to! Such piglets. Our second, Sunday afternoon tea took place at the beautiful Mount Somerset Hotel near Taunton. This was a whole family affair as my brother and I bought it for mum & dad as a present way back when. As the sun decided to go into hiding on Sunday, we snuggled into the cosy armchairs, nearly fell asleep and supped our various choices of tea leaves whilst gassing and giggling over another mountain of munch! Such a civilised and treat-filled weekend! Made even better by the fact that it was spent with my 3 favourite people in the world. And what topped my weekend off with a cherry, was having my other favourite person waiting to greet me when I got back to London! Fresh off the Carousel tour and ready with cuddles :) and blueberry banana bacon pancakes!!! Do we think I need to diet this week…..perhaps a little. Salted Chocolate Popcorn Crispy Cakes! You know that feeling of utter joy when you forget you've made something the night before and open your fridge the morning after… yeah that. That was my breakfast sorted. Sweet yet salty, chocolatey, sticky marshmallowy yumminess! These babies are the easy peasiest treat to whip up in less than 20 minutes. 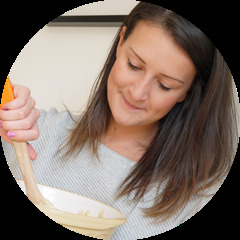 I used to love making rice crispy cakes with my mum and cornflake nests at Easter! If there's chocolate involved…I'm there with bells on. I've always been a 'sweet' popcorn lover - strongly opposed to salty popcorn, but by using sweet and salted popcorn with these cakes, it helps to cut through the sweetness and makes them even scrummier me thinks. Break up your chocolate into squares and, along with a handful of marshmallows, place in a bowl smaller than your saucepan. Boil the kettle and carefully pour the boiling water into your saucepan until 1/4 full. Do not turn hob on! Place your bowl of choccie & marshmallows into the boiling water and leave to melt giving the occasional prod & stir. Also, did you see La Coco Noire's blog post about making my Gooey Banoffee Cookies ?! I was seriously flattered. What a gem. Filling my freezer with mint Cornettos during that mini heat wave YUM. Attacking my over grown garden. It's like therapy - de weeding, mowing the lawn, now I want to cover it in pretty flower pots & orange trees for the summer and grow a little herb garden. Being treated to a hair cut, colour and manicure at Gielly Green! I felt very pampered. The hair wash chairs are like beds! And the Essie polish I ended up buying because I loved the colour so much - Maximillion strasse-her. Being able to be in the same room as my bezzie. Supping on pimms in the sunshine and having a well needed gas. She's never allowed to work abroad ever again. I've put my foot down. Singing at the Epsom races with The Dukebox Singers and rehearsing in preparation for the Derby & ladies day. Come say hello if you're going! Easter! Everything about Easter was lovely - up in York with William's family eating ALL of the choccie, ALL of the roast lamb and proper Yorkshire puds :) Also receiving my Lindt bunny from Mandy at One Slice of Lemon blog. What a sweetie. Yummy brunch at No.32 in Clapham Old Town. If you're a London bunny then you must check it out, complete with twinkly roof terrace which will be glorious in the summer time. 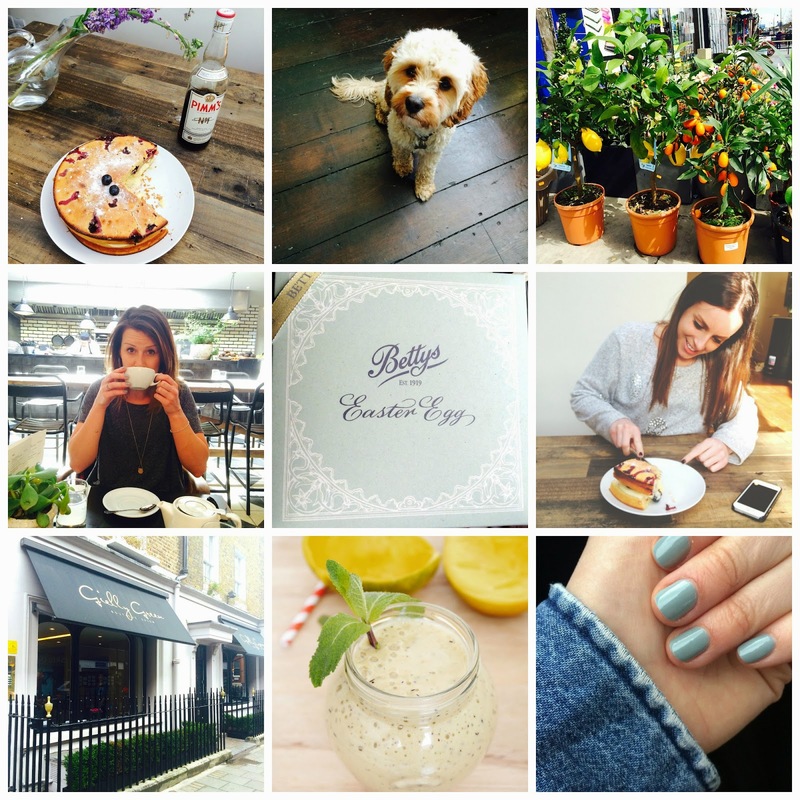 What have been your favourite moments of April lovely people?